I decided to take a look at the flowers that have bloomed so far as I decide what other flowers to add to the Gardens Gone Wild quilt. So far there’s the iris, anemone and sweet pea. Then the marigold and chrysanthemum. And finally, the periwinkle and wisteria. Then there are these three that I don’t think are going to be in the Gardens Gone Wild quilt. Perhaps they’ll be the beginning of a table runner or a small wallhanging. While I love the first pink one, the placement of the fabrics doesn’t quite remind me of a peony and I can’t think of a flower that it might be. The second pink one definitely doesn’t remind me of a flower. But I love the background I used for it so will be removing those background pieces to use for one of the Gardens Gone Wild flowers. The blue one also doesn’t make me think of a flower and it too will lose its background fabric. Perhaps if I use the same background for those two as I did for the first pink one that will turn them into the beginning of another quilt or table runner. I know once I finish making the flowers for Gardens Gone Wild, I won’t want to stop making ribbon flowers. There are so many variations possible with the Inklingo Ribbon Flower collection that I think I could be making these blocks for a long, long time! Right now I have the shapes printed for a tea rose, morning glory and delphinium. I’ve got a good start sewing the morning glory but have, once again, been spending a lot of time looking at flowers online and have a long, long list of ones that I think I want to include in the Gardens Gone Wild quilt. It’s definitely going to be a quilt with 20 blocks at this point. Jake had possession of the upper tier of the kitty tree early yesterday afternoon when I once again set about trying to get a good photo of his eyes. This still doesn’t quite capture their colour. I’m going to go back through some of the pictures of him that we took with different cameras and see if I can find one that really did capture their colour. Then Baxter had possession of the upper tier. While I was taking this picture of him, he was keeping his eye out for Jake. Morning Cathi, I’m curious about the wisteria block. We had talked about a hole at one time. Do you not think that one might do that? I have not seen them all placed together yet though. I am planning to make at least one, probably two, more pale flowers so they will be scattered about – and who knows, they may get left out of the final top. 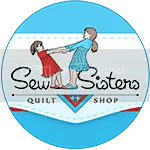 Because I now have so many ideas that I’m sure I’ll have more blocks than I need for the first quilt. I like your two casts off… the first one reminds me of a zinnia ,and the second a sorbet peony. Thank you! That sorbet peony is fabulous – I think I’ll remake that second pink block with some different fabrics in place of a couple of the prints and definitely call it the sorbet peony! The first one is going to be an Asiatic lily and now I’ll go look at zinnias! It is amazing to wander through your luscious garden! They are all beautiful! Gobsmacked! Thank you, Linda! I’d never have been making them without the Ribbon Flower collection – I can’t even begin to imagine trying to make them any other way! I love them all! I think this is one of my favorite inklings blocks ever! And this work of yours is up there among my favorites (but, I’m pArtial to everything you do!). Simply stunning! 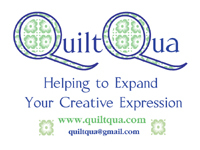 Mr q. O. Toons are so fun and I think he’s enjoying the inspiration of this quilt as well. Thank you! I think this is definitely my favourite Inklingo collection – I just love making these blocks! Your first pink one could be an Asiatic Lily. They have a stripe down the center of their petals. Thank you! I Googled it and love that I can now include that one in the garden! Don’t be too hasty with that first pink blossom. I agree with exuberantcolor above about the Asiatic lily, or it could be a rose. I used to grow 100 roses in California, and no two were alike. Some change in color as they unfurl. With a garden as lush and jungle-ish as yours, who knows what slipped in and wanted to join the party. I’m definitely going to use that first pink one as the Asiatic lily – I’m so glad there are gardeners out there who comment, because I had never heard of that! I have one rose planned so far and think I’ll have to make at least one more on top of that. I just don’t want to stop! About the blue one. Do you know what batchelor buttons or corn flowers are? Although they really aren’t wild flowers here, they do grow wild and I’m fond of them. They have blue (one of the few flowers that are) and there is one that is blue in the center and pale blue/white on the outside. I have pix somewhere. Shall I dig them out? I’ll Google them. I’m not upset about leaving that one out as it could easily be the beginning of the second quilt of these that I’ll undoubtedly make. Periwinkle and Anemone,my choices for the layouts. Every one is lovely, and even what you call cast offs, are so delightful. Thank you! I have many more to make – it’s going to be such fun when I finally get to the point of figuring out the layout of the quilt. Check out Rhotodendrons and see if you think your first cast-off could be one. I like them all! Thanks, Liz. I don’t think it works for that, but a rhododendron is definitely something I’m going to look at including in the quilt. I think they look gorgeous whatever you decide. If you want something pink then google cheddar pinks. Called that because they grow wild and naturally in Cheddar area of Somerset UK where I live. I promise you will find some beauties. Thank you! 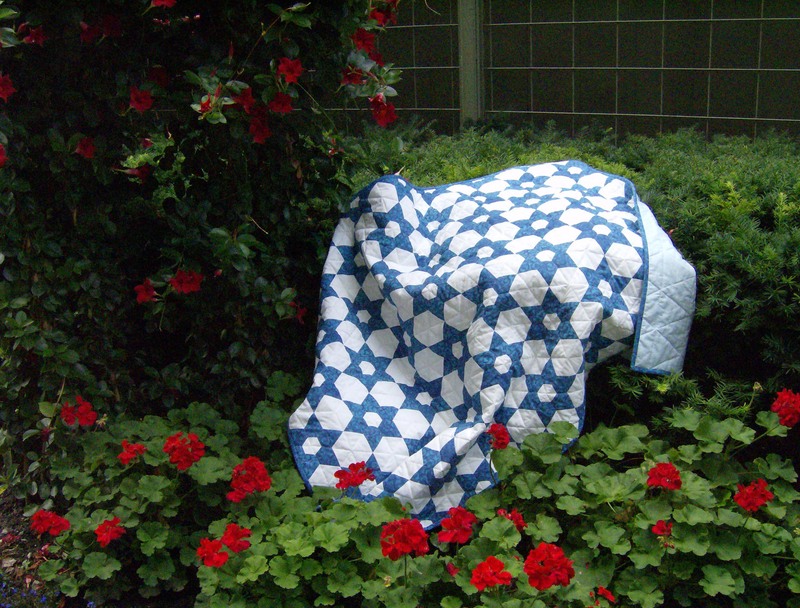 I did Google them and oh, my – I will have to make one for the Gardens Gone Wild quilt! They all look glorious! I can only imagine this quilt top. Thank you! I’m having fun thinking of what other flowers will be growing for my garden! Oh so pretty. Love seeing your progress. Great colors! Thank you! I’m now finding more and more flowers I want to include – this could end up a much larger quilt than I usually make at this rate! It’s amazing to see how many different looks you’ve gotten from the same pattern. Beautiful! Thank you! It’s becoming more and more impossible to stop making these blocks! I hadn’t thought of those at all! Thank you! !